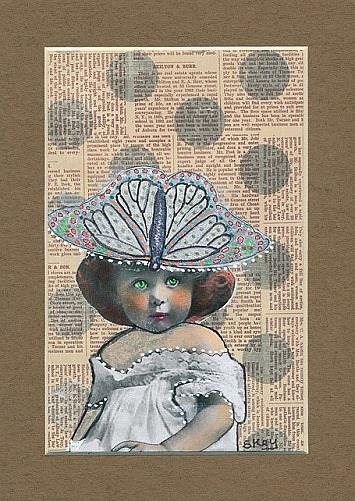 Hand painted black and white images of girl and butterfly, mixed media, paper on paper altered art collage. 5x7 mat included. Mat opening 4x6, frame-able. Original by Sherry Key a.k.a. Skey.